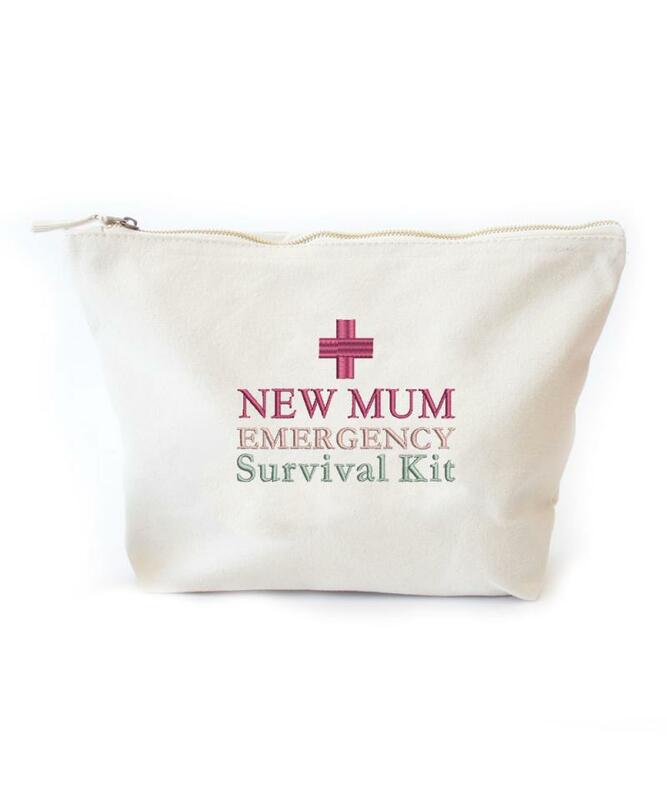 New Mum Survival Kit Bag. Ready to be filled with all the essential items a new mum might need to survive the arrival of a newborn! Fill with it with items for them to use at the hospital whilst awaiting the arrival, or fill it with little luxury gifts to pamper them whilst they're recovering at home. (Please note the bag is supplied empty). - Please note the bag is supplied empty. - Size: 34 x 22 cm (when laid flat). - please note the bag is not lined.